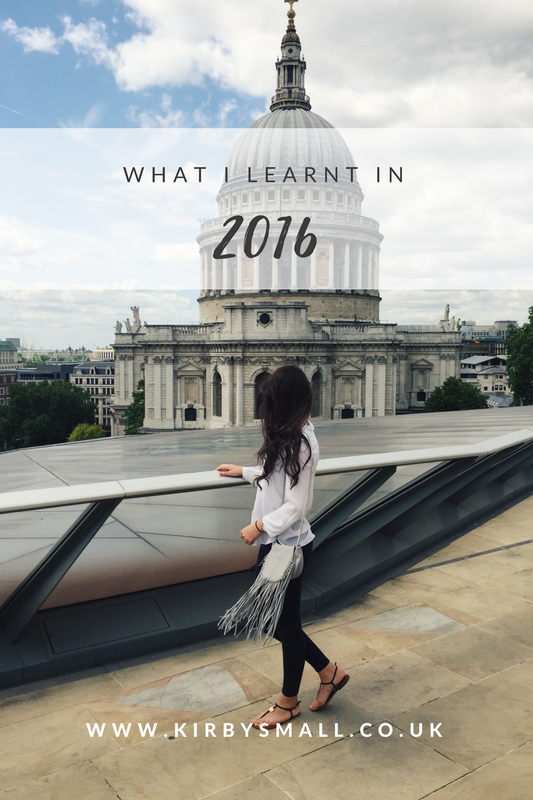 Jumping on the bandwagon but I finally decided to let you all know what I learnt in 2016! 1. If you're passionate and determined you will see results. 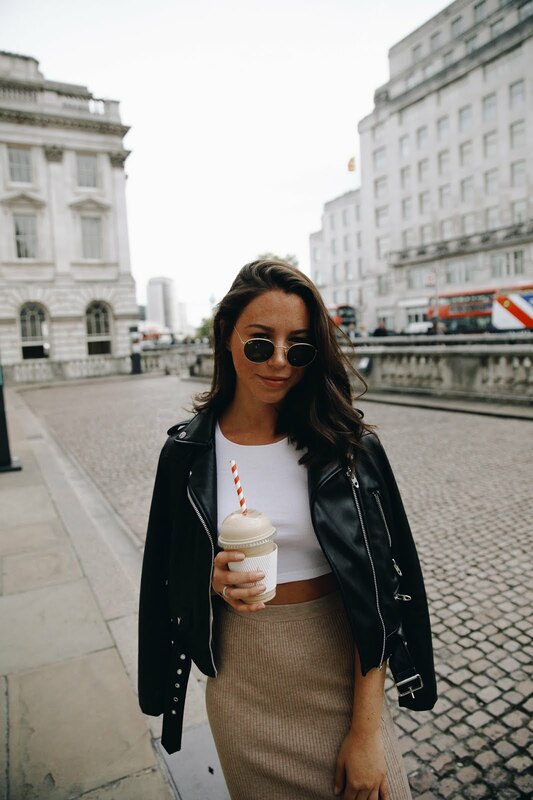 Last year I finished my first year at university with a first, I started blogging and launched my own business. If I wasn't determined, none of this would have happened. 2. Things do happen for a reason, bad times make you stronger and good times make you a more appreciative person. 4. It's ok to lose friends, remember, quality over quantity. This year I have become closer than ever to my friends, we have all grown up together but we are also going our separate ways in terms of our career's and journey's. We are each others cheerleaders. Sometimes friends do tend to take a step back, but unfortunately this is life, if you're no longer putting the effort into each other's friendship, this is bound to happen. 5. Do what makes YOU happy. 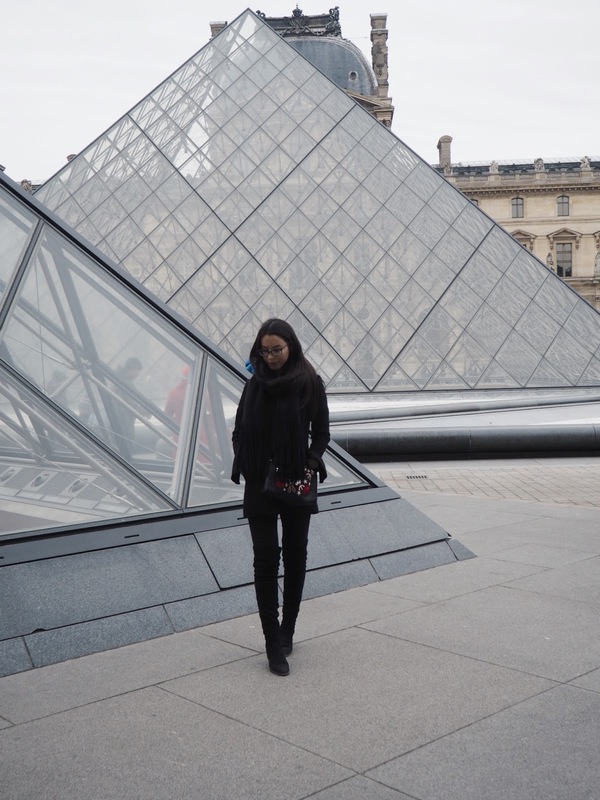 I work hard to save up and go on trips, I'm happiest when I'm exploring, so why would I stop now? Some people collect designer handbags and that is absolutely ok! We all have different opinions, different hobbies - don't judge someone for theirs. 6. Keep. In. Touch. With. Family. Sometimes I really struggle with this and I'm not even sure why. Have you ever left it so long without talking to a family member that you feel too awkward to reach out? Then you have the whole 'well they haven't reached out to me ... " blah, blah, blah. At the end of the day, this can be easily avoided and I'm going to try get better at this in 2017. 7. Invest in your future. This may mean paying for a course, buying that expensive camera equipment, putting money into your savings. Think ahead, as well as for the moment! 8. Aim higher. I always put others on such a pedestal, I easily get jealous of what other people are doing and I need to start aiming high too. I have ambitions, don't get me wrong, but I can't say I truly believe in myself all of the time. This needs to change and I'm making sure of it. 9. Make more time for me. I'm a well renowned people person, I love to please others. This is just the way I am inclined, but I need to remember to have some me time, this normally only involves a face mask and watching crappy TV but hey, it works! 10. Put yourself out there. This is where I really struggle, I didn't realise how nervous I am! I have had a few opportunities which I haven't taken on, purely because I was too worried. "But I can't write a formal email! What if they don't like what I write? How can I show them my personality without coming across weird?" I need to have more faith! 11. Don't be afraid. Some of the best people and friends I met last year was purely down to me approaching them. I can't thank the blogging community enough and I've honestly never had so much support! It's so lovely to see how proud everyone is of each other and it inspires me so much! 12. Ask for help. I've found myself in situations where I feel so overwhelmed and asking for help is so necessary. As I said before, I like to please others, I hate to feel a burden and would always think asking for help would come across this way. But this is hardly ever the case! If you need help from your tutor don't hold back, or photography help? Ask that blogger who you always notice for amazing photography. Most of the time if someone is asked for help they will take this as a huge compliment! 13. Hit publish. I can't tell you how many posts I have written and not ever pressed publish. Purely because I thought it wasn't good enough, I'd keep going back to it for weeks, then I'd think it's no longer relevant and instead, I'd press delete. Who wants to read my autumn favourites when it's the end of November? I need to stop analysing myself so much because in the long run, my blog now feels really bare. 14. Don't take Social Media too literally. You cannot compare your behind-the-scenes with anyone else's highlight reel. 15. I am only 21. I do not need to have my life in order, I'm only half way through my degree and renting a room in Central London. Some people I know are doing amazing jobs and buying their first house at my age, but you know what, I'm happy with where I am and this is right for me. 16. Love harder. Last year was a rollercoaster, I'm yet to really understand why. But now my relationship couldn't be better. We needed that and now I'm more in love than ever. My boyfriend is my rock and he constantly let's me know my worth, thanks for being my biggest fan. I completely agree with you! Especially about friends - it really is about quality over quantity:) Hope you have a lovely day!! This is a really good post Kirby! Girl, you've definitely got your life together if you've done this much! Well done to you! Your post is tremendous. I read your blog I realized that you have learned many things in 2016 that is great, We can take advantages through your lesson or point we may take many advantages from your post.